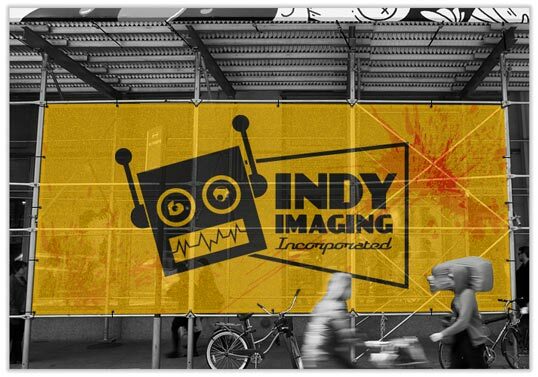 Indy Imaging manufactures Backlit Flex Face products from translucent flexible vinyl. Our faces are produced for installation into your client’s tension frame sign cabinets. Our manufacturing process ensures the colors remain rich and vibrant during the day and when illuminated at night. To navigate on a desktop, click on the arrows. To navigate on mobile, simply tap through with your finger. 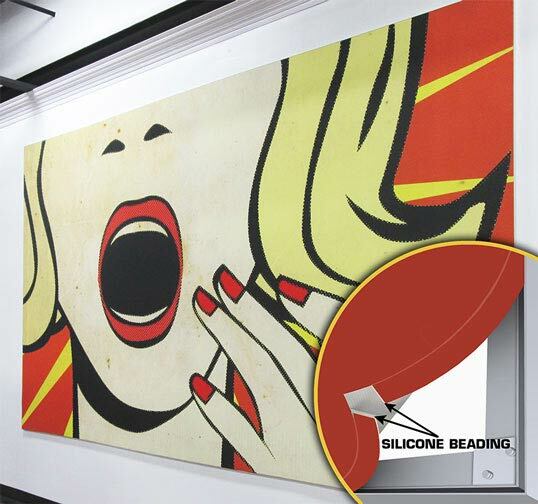 SEG Fabric With Frame offers a luxurious alternative to adhesive vinyl and wallpapers. They can be custom sized to fit any available space. The graphic can be easily replaced as desired. Dye Sublimation fabric stands out and adds a level of quality to your customer’s products. 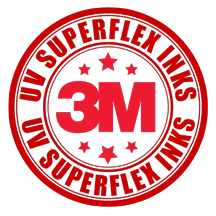 This quality is not available with standard vinyl materials. 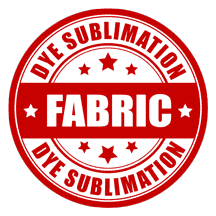 The Dye Sublimation process produces rich blacks and a wide color gamut. The colors are vibrant and really pop off the material. Get a free sample pack today! Pop Up Displays consist of Dye Sublimated polyester-based heavy knit that attaches to a display frame with velcro, and are easily stored in a hard or soft carrying bag for transport. 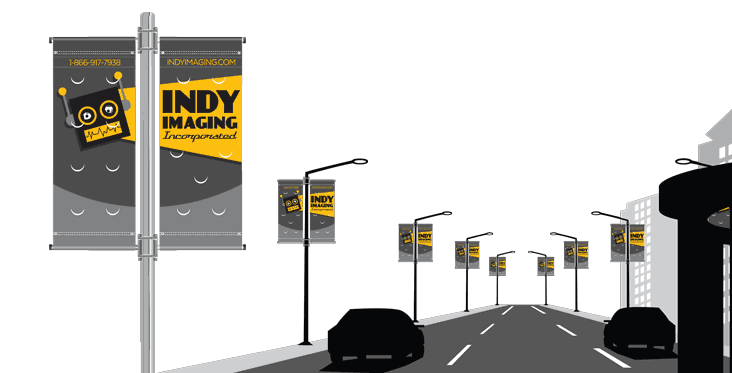 Indy Imaging offers both indoor and outdoor pole banners. In addition our pole banners can be finished in a variety of ways specific to each of your clients needs. Learn more about this product so you can help your customers. Mesh is used where weight and wind are a factor in the installation process and durability of the banner’s life span. We offer several types of mesh each with its own specific amount of blow – through. We take color seriously. 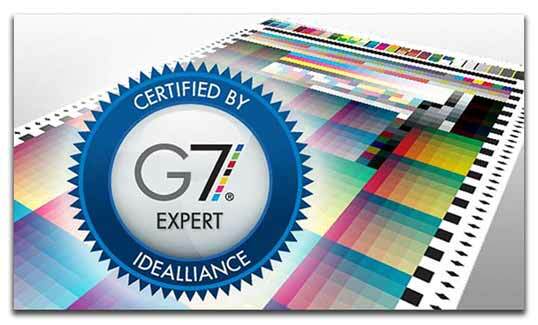 On site we have an IDEAlliance Certified Color Management Professional to maintain product quality. This gives you and your customer the confidence that their color will match as close as possible to their specifications. G7 is one of the newest buzz words in our industry, find out what that means for you and your customers. 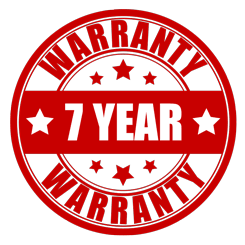 The warranty you want when your reputation is on the line. 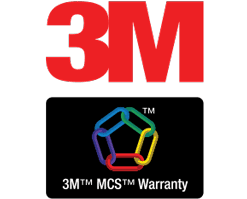 Indy Imaging Inc. is qualified to offer sign industry products utilizing 3M™ materials and processes.